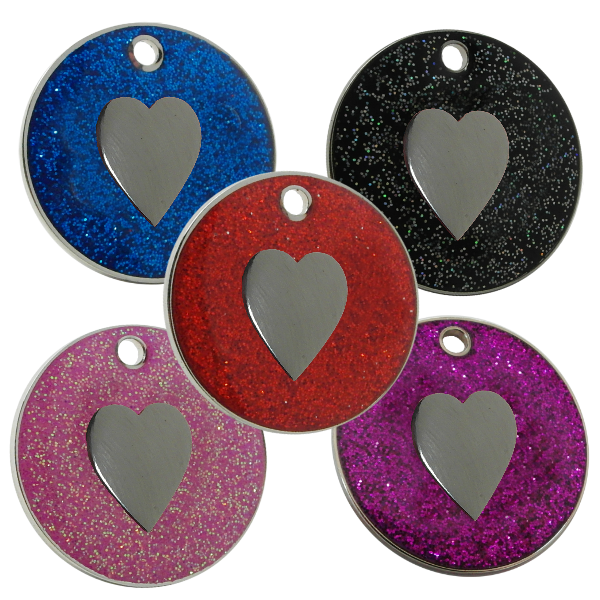 Paws 4 Thought Pet Tags offers a beautiful range of glitter pet ID tags for dogs and puppies. Our products are made from durable materials and are priced reasonably. 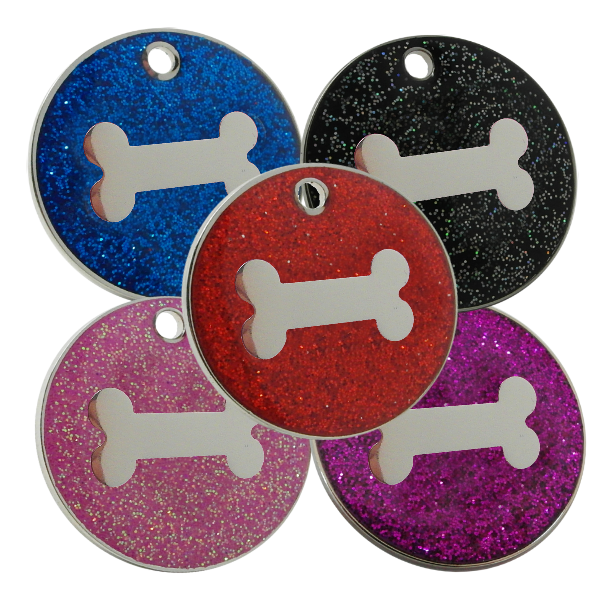 When looking for something extra special and stylish for your pets, take a look at our collection of glitter tags. Thanks to our tags, your pet can be distinguished from other pets. When you take your pup for a stroll in the park, all eyes will be on your pet’s stylish tag. Our tags come with a split ring that helps in easy fixing of it to your pup’s collar. To make our products completely safe for your pup, we have made sure that the glitter does not come off. The glitter on the tough stainless steel has been properly sealed with a resin dome. 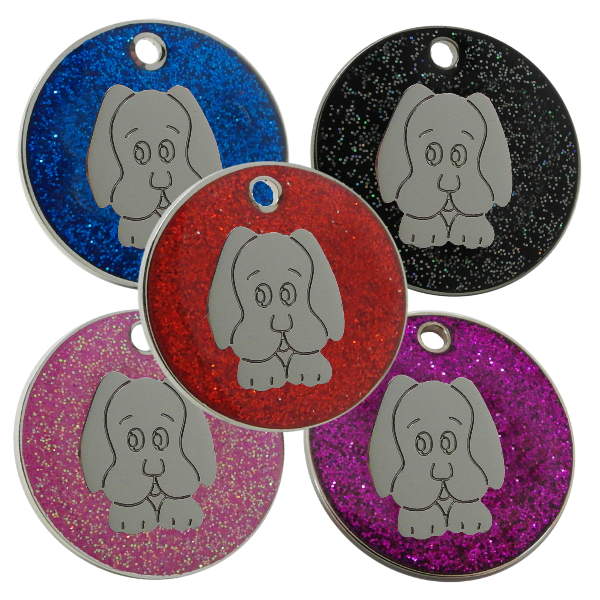 Our glitter pet ID tags for dogs and puppies are made available in a range of hues, motifs and shapes. 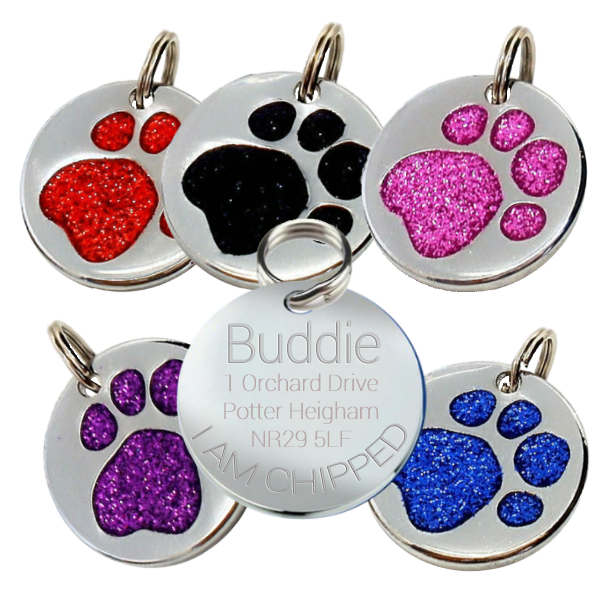 We offer paw print-shaped tags, round tags featuring paw prints and tags with dog face, paw print, bone and heart shaped motifs. 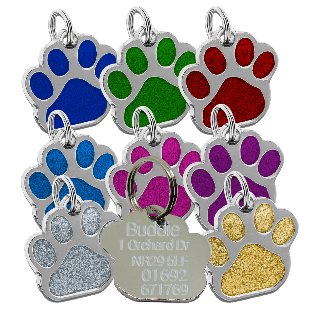 Your pup’s identification information can be engraved on the back of the pet tag. Depending on the size of the tag, you can engrave up to 5 lines. We are equipped with cutting-edge engraving technology that enables us to create tags with long-lasting carvings. Our engravings are resistant to fading. 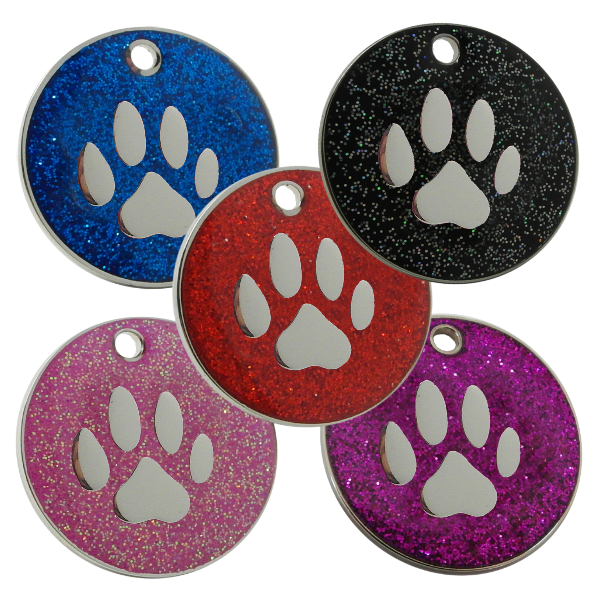 At Paws 4 Thought Pet Tags, we do not charge anything extra for deep-engraving on our glitter pet ID tags for dogs and puppies. Place your order today!